Silent Running, Book 2: Lt. Charlie Harrison survived the horrors of Rabaul and the midnight battle with the Mizukaze. When he reports to Sabertooth at Pearl, he must contend with a crew that isn't quite welcoming and an officer protecting a dire secret.While underway, the captain reveals the submarine's mission - travel to the Japanese-occupied Philippines, deliver supplies to the Filipino guerillas, and bring American refugees home.When Sabertooth runs into Yosai, one of the big aircraft carriers that attacked Pearl Harbor, the mission changes. 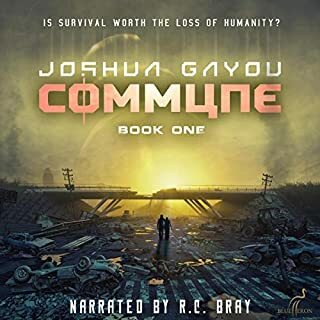 As disaster strikes, Charlie must take command and make the ultimate decision - get the refugees home or risk everything on an all-or-nothing attack. Battle Stations, Book 3: Fresh from PXO School, Lt. Charlie Harrison is offered a posting on Sandtiger under Captain Gilbert Moreau, a legendary fighting captain in the submarines. Sandtiger's mission? Join an elite wolf pack penetrating the heart of the Japanese Empire. Along the way, Moreau teaches Charlie how to fight and what lines should never be crossed. 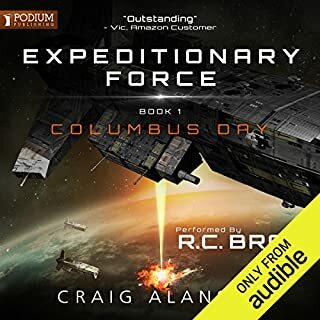 I was able to purchase the Omnibus boxed set of this series, which includes the first three books of the series; Crash Dive, Silent Running, and Battle Stations. In this thrilling naval journal we follow Lt. Charlie Harrison’s career from first war patrol in an old WWI S-55 submarine, to the Salmon-class? Sabertooth, then the Gato-class Sandtiger. With each boat Charlie learned his craft by doing, his inner self finding a home in the submarines. The action and tension is non-stop, fast and furious. The story came alive. The narration was exceptional, R.C. Bray once again performs brilliantly; vocal sound effects for the enemy screws, sonar, and battle stations a plus. For navy submarine fans this is a must read. I really enjoyed this series. Good story! Heroic characters with lots of action. Navy adventure in the spirit of the history of the Pacific war. Plot and characters are as simple as what we think that era is known for. This is the first time I have listened to Dilouie, but it certainly won't be the last. 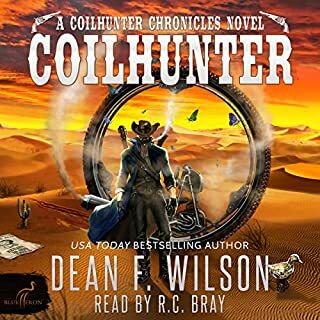 I am hooked on his perfect combination of detailed storytelling and exciting adventures. 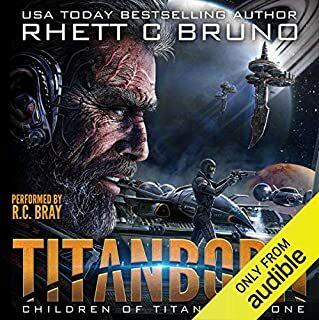 Add to it RC Bray's narration, I felt as if I were in the sub right along with the crew. No time for more - I'm off to get the next story in the series. Great performance by RC Bray. This book makes you feel like you are actually in the submarine! Could not get enough of these books. Each one seemed to fly by from how exciting they are. Very well done and highly recommended to anyone loving a thrilling and intense story. Great series of books. I can’t wait to listen to the rest. I’m a big war history guy, I thought this was really good story. Naturally the golden tones of RC Bray bring the story to life. Thanks RCB! 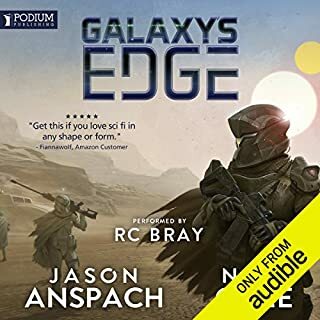 This is not my typical book, I usually read sci-fi but I followed the narrator (RC Bray) to this one and I’m happy that I did. Historical fiction at its finest, characters that grow and develop in a historical setting that most people are familiar with. The narrator does a fantastic job of bringing them to life! Overall good stories, tons of action and realistic scenarios of boat life (I’m a former submariner). RC Bray did a wonderful job! His accents for many characters was pretty good and it made some of the characters richer. A masterful re-imagining of the old WW2 stories! Growing up watching films like “Midway”, “Tora Tora Tora”, “Battleground”, and others, I felt at home in this novel. And yet gone were unrealistic heroes and with them was the sterile consequence free experience of war for those who fought it. 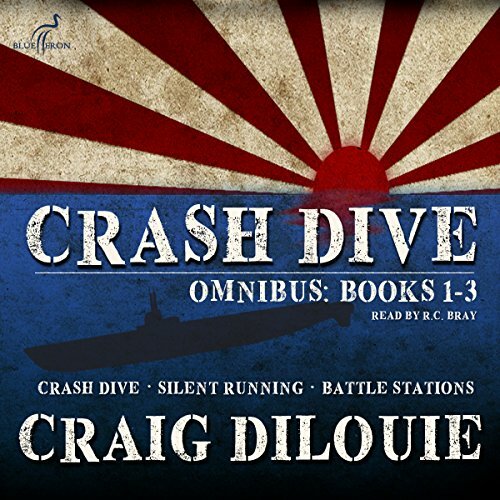 Mr. Dilouie has captured the essence of what a WW2 action story should be. The naval action is well paced and the characters are deeply fleshed out. The technical details are there but are integrated without feeling like info dumps. Enemies are real and the dangers are authentic. And yet neither fall into cliches. War has consequences for the men and women who experience it, and each character deals with them in unique and era plausible ways. 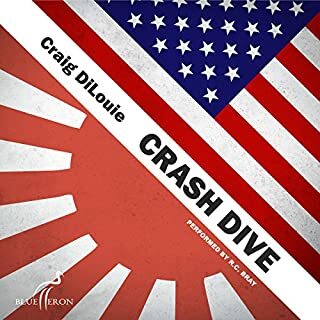 In “Crash Dive” the WW2 action adventure has grown up and matured. And it is all the more exciting and entertaining for it! i thought this was a great series. though i did not serve aboard the diesel SS submarines this story did stir some memory aboard the modern Submarines.